Dr. Martens black slide sandals with a criss-crossed grosgrain strap and a hook and eye fastening. Crafted with technical neoprene uppers, the sandals are detailed with a signature ridged midsole and ‘AirWair’ loops to the top. 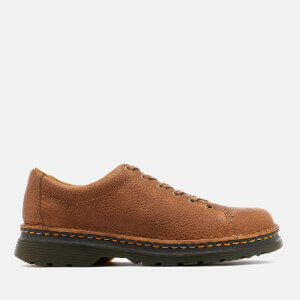 The sole of the shoes are cemented to the upper for increased durability. Complete with a textured outsole for added grip and a logo-embossed footbed.